All of the sudden … it happens. One day you are finishing college or university, excited about the prospect of leaving your stamp on the workforce … then 40 or so years later retirement is looming. Beginning as early as the 60 years old, you can begin to access those Canada Pension Plan (CPP) benefits that you see on every pay stub. However, the average person doesn’t truly understand how CPP payments work and what the benefits and implications are of early retirement. CPP is meant to be a cornerstone to a Canadian person’s retirement. It provides an income for life, which you and your employer have paid for over the course of your entire working life. However, deciding when to apply for CPP benefits remains one of the biggest and hardest questions to answer about retirement planning. The earliest age that a Canadian can apply for CPP benefits is 60 years old. However, taking CPP before the age of 65 will result in a reduction of your monthly benefit payment by approximately 0.5% for every month that you are under 65. Thus, someone who retires at age 60 will see a 30% reduction in their monthly payment. Beginning in 2016, if you begin to take early CPP benefits, then your pension payment will be reduced by 0.6% every month you are under the age of 65. However, if you decide to delay your retirement past the age of 65, you will receive an increased benefit of approximately 0.7% per month. This means you can receive a maximum of 42% extra CPP benefit (applications after age 70 provide no additional benefit). * “Pensions and You” by Maureen Glenn, March 19, 2014, ©2000-2014 by Rogers Publishing Ltd. If you are in your late 50s and you are already experiencing poor health, then taking CPP early will be beneficial to your financial well-being. Even though there will be a reduced rate, your health might stop you from working as much and/or you might require additional income for increased medical expenses. If you are a low-income Canadian then you might be eligible to collect GIS beginning at age 65. However, like most social assistance programs, every dollar of income you earn can result in a steep clawback to your social assistance payment. By taking a reduced CPP benefit, you might be able to keep more of your GIS benefit. CPP is calculated by averaging your contributions from the age of 18 until the time you actually start to take the CPP benefit. CPP allows you to drop your 15% lowest earning years from the benefit calculation. This translates to seven years if you retire at age 65. If you were unable to work due to a severe disability or if you took time away from work to raise children then you are potentially able to drop even more of your lower income years from the benefit calculation. However, if you retire at age 60, but don’t start taking the CPP benefit until age 65 you have now added five more no income years to the calculation reducing your average pensionable earnings. 4: Still working after 60? After January 1, 2012, a Canadian could still continue to work and begin to collect CPP benefits as soon as they turned 60 years old. There is one catch to this idea: you will continue to pay into CPP. However, this is not such a bad thing as continuing to pay into CPP helps to increase your future benefit. In addition to the reasons to start taking CPP early, there are also reasons to begin taking your CPP entitlement at 65 or later. If you have a longer than average life expectancy, it does not make sense to take CPP early. Financially speaking, the longer you live, the longer you will require an income for. By delaying the start of your CPP benefits, you will draw a larger benefit over a longer period of time then if you began taking your CPP early. If your retirement plan is to continue working and earning a good income until at least the age of 65, then why take your pension early? Just because you can start taking CPP early, doesn’t mean that you need to. By delaying the start of your CPP payments, you are not only keeping your predicted CPP payment intact, but you are also helping to keep yourself in a lower tax bracket. Delaying payments can also be beneficial if you collect a considerable employer pension for the previously mentioned reasons. Just because you retire doesn’t mean you get to stop paying taxes, so why increase your income if you don’t have to? Trying to decide when to take your CPP benefit might be one of the hardest retirement decisions you will ever have to make. The answer is a balancing act between how long you hope to live for and how much you think retirement will cost you. Unfortunately, there is no one-size fit all answer and the only right answer is the one that is right for you. 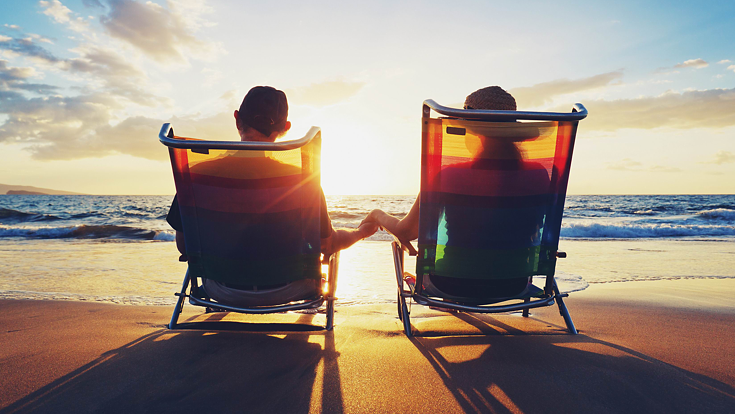 At the end of the day, you worked hard to earn your CPP benefits, so you might as well enjoy them!